Ever browsed social media and had that ‘oh I wish I could swap outfits with her’ moment? Well thanks to the Swedish fashion initiative ShareWear this could be a reality in the very near future. ‘Shwopping’ is the new social media phenomena that allows you to share clothing with others on Instagram. 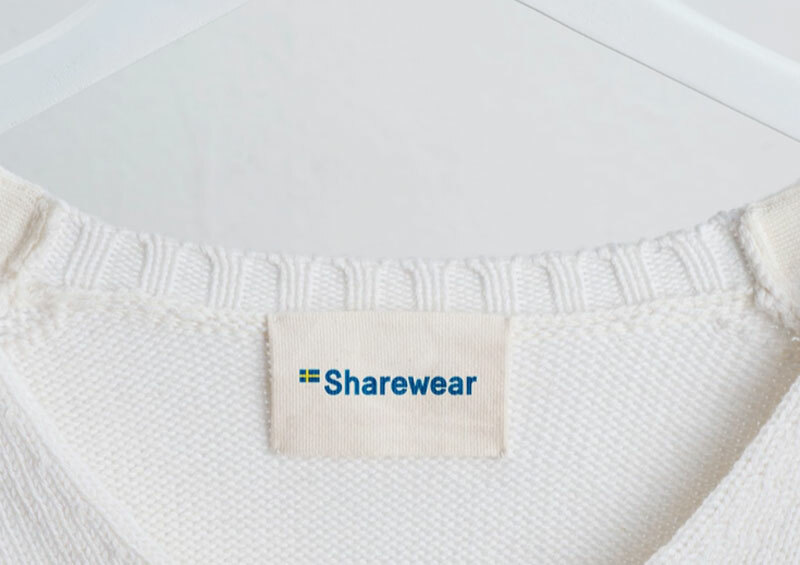 ShareWear aim to get people thinking about the millions of tonnes of textile waste that is sent to landfill each year using that idea that you learnt in kindergarten… sharing! Rather than disposing of your unwanted fashion items, you can give someone else a chance to wear them out by participating in the Shareware ‘Democreativity’ intuitive that ‘aims to inspire a sustainable way to be fashionable’. The Shareware initiative is a two fold attack on the way we consumer fashion. Firstly the Sharewear team are offering a collection of amazeballs (yup… they are that good) ready to wear items for you to borrow from some of Sweden’s most prominent fashions brands, such as Filippa K, Hope, House of Dagmar, NIKOLAJ d’ETOILES, Uniforms for the Dedicated, Weekday and Whyred. The Shareware collection is uploaded onto Instagram, and the first person to comment on the image of item gets to have it in their closet for a week. Once you are done you ‘pay it forward’ by posting a piccy of the item and passing it on to the next person who wants to wear it! A system that is well and good as long as you live in a geographically adjacent place to borrow them right? For those who can’t get their hot little hands on theses Swedish delights the team are suggesting that you start your own share system by letting your friends know they can borrow your clothes! All you have to do is snap a photo of the item you would like to share, upload it to Instagram and hashtag with #sharewear. Then your fashion items will be off on all kinds of exciting adventures until if/when you want them back. A little note that the freaking #amazeballs image of the pretty lady above isn’t mine. It’s taken by one of my favourite photographers Magdalena Wosinska and you should most definitely check out her work because it’s beautiful. Do you think this is a system you would take advantage of? Would you feel comfortable sharing clothes? Perhaps you already do something like this with your friends. Let us know your thoughts below. PreviousWomen Who Give A Fork! My friend and my sisters share my clothes. I am comfortable sharing as long as its laundered. This scheme sounds great. But what about the carbon footprint of mailing something out every week ? Something local would be nice. I took a resolve to love my clothes and wear them till they are beyond repair. But the idea of borrowing items for special occasions like weddings/interviews without owning items that are not used often, sounds appealing to me. Yippee! Glad you are on board to the swap system. I love swapping clothes too and used to run large swap events. I’ve stopped for now due to the large amount of stuff I used to be left with but have written a swap based sustainability education event that I will start running soon. It’s the basis of my masters studies. Totally agree that the postage thing is a bit of an issue. However, I imagine that if you were posting locally (not air mail) that the overall impact of the transport footprint would be minimal in comparison to the impact of buying something, wearing it once or twice then disposing of it. They say that the majority of the eco-footprint of a garment is it’s wash-wear-and disposal (especially if it’s dried with a clothes dryer). Don’t think a social media based swap system would work all that well for basic t-shirts but it would be good for those special events as sadly the social media platforms have made it increasingly difficult to wear the same dress to all the weddings you are invited to because your feeds end up littered with happy snaps. So like you mention, being able to swap for special occasions and formal events would free up closet space, save money, and reduce the need for new with the small downside of postage. It would be good to work with friends, family, and housemates to share basics! I know I borrow my husbands t-shirts and shirts all the time when I want something baggy to wear. The idea is good, except that it continues the fast fashion trend, by allowing people to own an item for merely a week. Personally I prefer swaps with friends, since I can get the use I want out of clothes and not feel rushed to give it away. Those things are great for when clothes stop fitting (weight loss/gain, other body changes) or stop being practical (change of work setting, becoming pregnant, starting to breastfeed, etc), allowing others to ensure their wardrobe works for them, also.